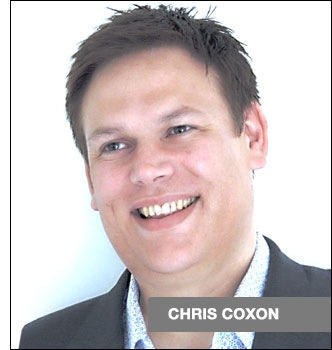 On the eve of FIT Show 2016 Chris Coxon, Eurocell Head of Marketing gives us a minute out of his busy day to talk about what to expect at one of the UKs major window and door trade shows. Q. What are your expectations for the show? A. We will be looking for quality over quantity, that’s to say good quality conversations with fabricators and installers that really deliver our key messages so that they are clear about how Eurocell is uniquely positioned to help them. For example, our recent acquisition of Vista Panels is great news for our customers and we need to really convey that during the three days. Q. What can visitors to your stand expect? A. Well we’ve actually got two – AT13 and A70 – but whichever they visit they’ll see some great products that would enhance their own business. On stand AT13 the launch of Modus S will undoubtedly attract attention as it brings mechanically jointed flush sash casement windows to the mainstream. The joint detail adds genuine authenticity to the window and enables customers to offer a product with the true look of timber, while retaining all the benefits of PVC-U. And it’s up to 25% less expensive than the nearest equivalent PVC-U flush sash product, which will really open up the market. When you put Modus S up against a conventional PVC-U window, there really is no comparison! Q. And on stand A70? On our other stand we are launching SlateSkin, an innovative GRP sheet tile system, designed for use with our Equinox roof system. It looks just like slate, but because it’s made in profile lengths and each length is several tiles wide, it takes 50% less time to tile the roof, which is fantastic news for installers. Together SlateSkin and Equinox form a quality solution for all those conservatory owners out there who want to maximise their living space by creating a room they can use 365 days a year. When you think that there are four million conservatories in the UK, it really is an ideal business opportunity for the installer or builder. And we firmly believe that Equinox and SlateSkin provide the most advanced system currently available. Q. We noticed in the build-up to the show you were using the hashtag #originalgamechanger across various media. Can you tell us a bit more? A. Ha ha, yes. In 2014 when we launched Modus we felt it was a new benchmark, so it changed the game in terms of a window system. With Modus S we have changed the game again, at the same time as someone else using the original strap-line. By any criteria you wish to apply Modus and now Modus S are at the forefront of design, aesthetics, performance and value for money and we wanted to remind people of this, hence the hashtag #originalgamechanger. 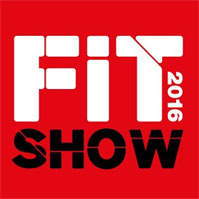 Read more about Eurocell at FIT Show here, and we look forward to seeing you on stands AT13 and A70 between 12 and 14 April.